Update: I was able to do this again just this weekend. This time I had my Sony ActionCam with me so I was able to take photos and videos on a different POV. I wanted to write a review of the camera and I made sure to test it in the air too, not just in surfing. 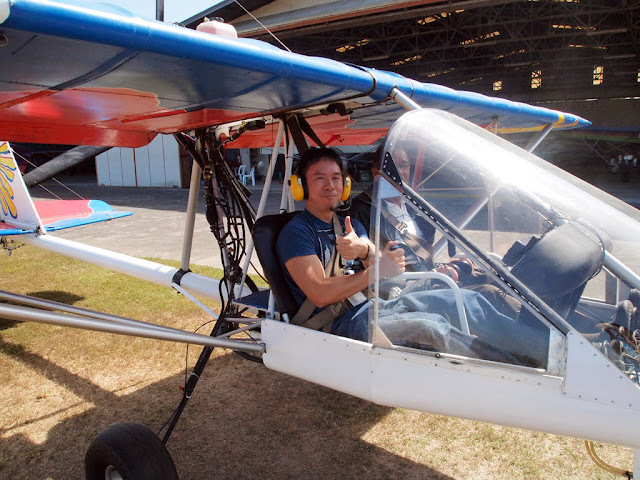 I flew in a different ultralight this time, too (with a different pilot). It is open, unlike the previous one which has a half-canopy, so I can really feel the strong wind while aloft. Since I have the camera on a selfie stick the pilot did not hand me the controls, which was OK for me since I was preoccupied at times with fiddling with the camera's controls. The weather is cooperative, though, so the flight went on without a hitch. I had a group of friends with me, and all but one went up to fly as well. There are some changes in pricing. It is a tad more expensive now, from PhP1650 to PhP1848 for the introductory flight (10 minutes), and around PhP3600 for 20 minutes. Except for the pricing, all other info given in the section below are still current. 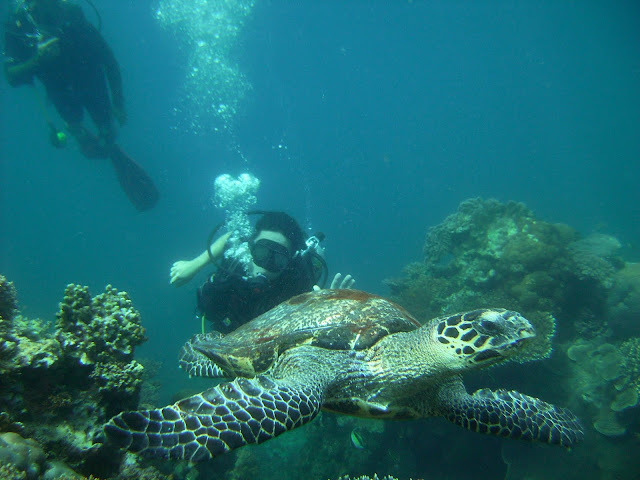 So far in my travels I've done skin diving, jetskiing, scuba diving, surfing, wreck diving, mountaineering, parasailing, water skiing, sailing, parajumping, ziplining, white water rafting, and flowboarding. I get to cross off another [extreme] sports from my list this weekend when I tried flying in an ultralight for the first time. 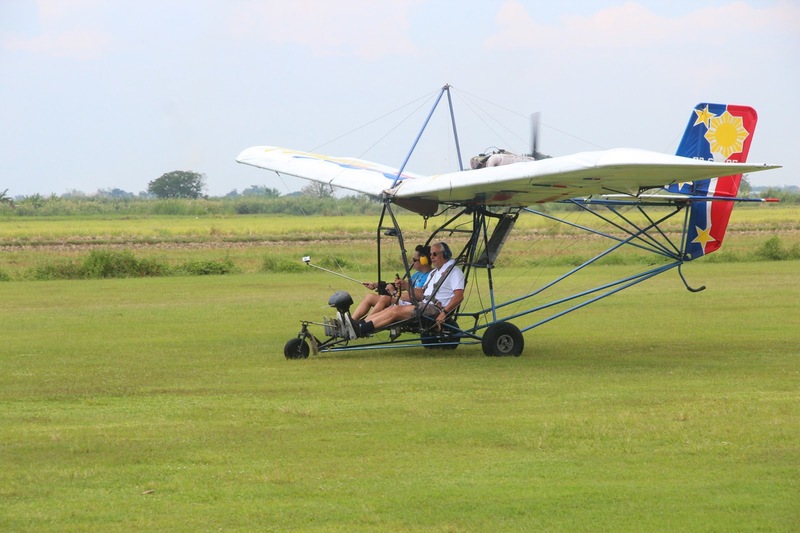 The group that organizes such ultralight flights is called Angeles City Flying Club. 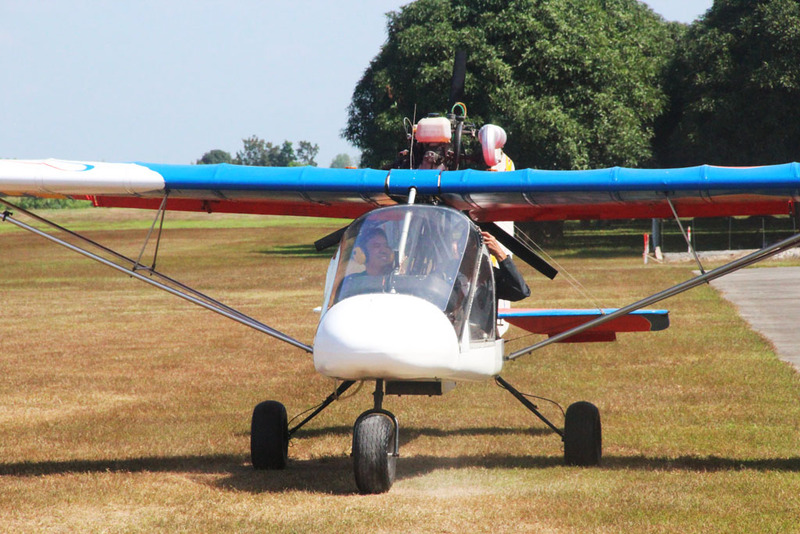 It operates in a small private airfield called Woodland Airpark in Talimundok, Magalang in Pampanga, and it has several ultralight aircraft in its hangar that can be hired. Magalang is just a short drive from Angeles City, although parts of the road are rough, and we missed a turn going to the airfield. We arrived just before noon. ACFC is composed mainly of two buildings and a hangar. 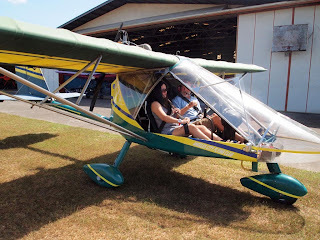 After signing up and signing my waiver (there were four in our group who're flying - me, Jodl, Sigrid and Aroma), I went to the aircraft and got buckled up. Two aircraft will take off one after the other, me and Jodl going first. The ultralight aircraft that was chosen for me was the Rans S12XL Airaile, a two-seat tandem kit plane capable of cruising up to 70 mph. It has dual stick controls, a tricycle landing gear, a semi-open cabin, and a 62-hp Rotax engine driving the pusher-type propeller. 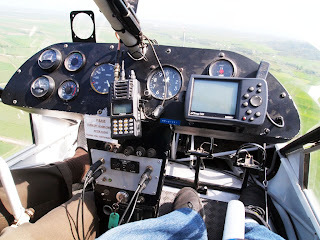 After buckling up and a brief introduction by the pilot on how the aircraft is control, I was told that he would let me take the controls for brief periods of time when we were airborne. He then fired up the engine and we began to taxi on the airfield. Then, takeoff. Even though I've been flying in planes for a long time now, it was still a new experience for me. So far the ultralight was the smallest plane I took ever (before that I think the smallest one I took was the Asian Spirit YS-11 turboprop), and the open cabin - with all the noise and the wind whistling - made it more visceral for me. We cruised over fields and streams at less than 300 feet in altitude, with Mt. 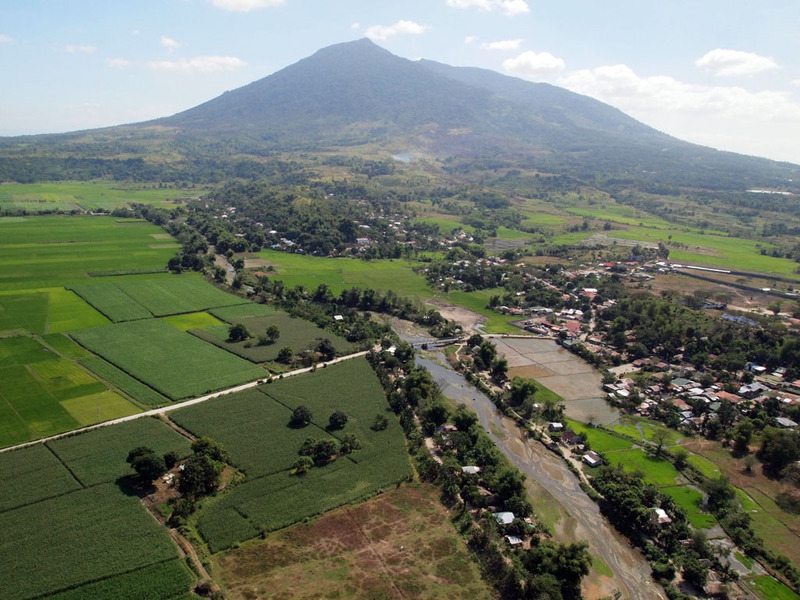 Arayat, the 1026-meter extinct volcano, looming over the distance. The pilot pointed out the towns in the distance, and once we reached the suitable altitude, he let me take the controls, letting me bank right and left, as well as go up and down. I only paid for a 10-minute trial and the time went out fast. We made our approach to the airfield sooner than I would have wanted, and we were landing in no time. Then it was Sigrid and Aroma's turn to fly. I made a promise to return for a longer flight, maybe the next one flying all the way to Mt. Arayat. That, and the ones left in my list: snowboarding, bungee jumping and snow skiing. 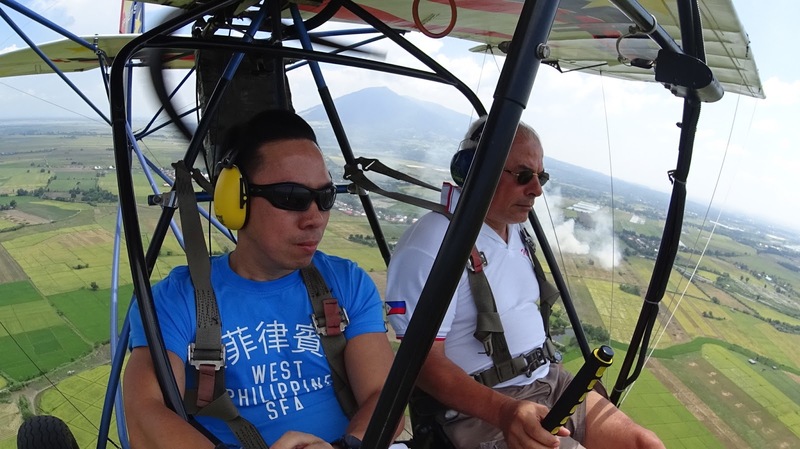 ACFC is located in Woodland Airpark in Talimundok, Magalang town in Pampanga. If driving from Manila, take the North Luzon Express Way, exiting in Angeles. From the exit, take the roundabout then go north to Dolores. Drive for about 1.5 km, then take a right at the junction. 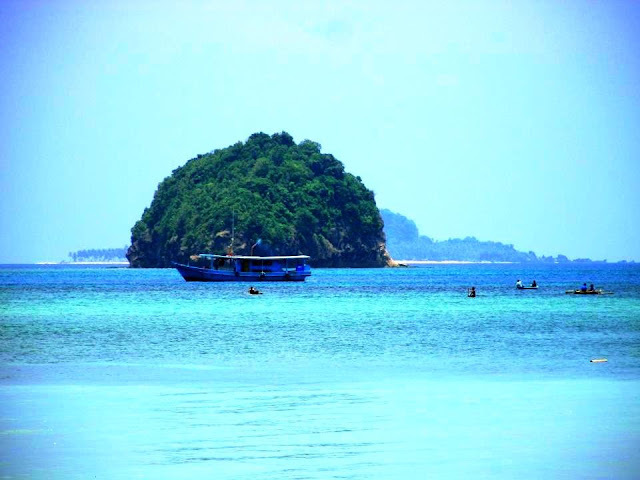 Drive for about 800 meters then take a left, to Talimundok. If taking a bus, take a Victory liner bus going to Vigan or Baguio, but tell the conductor to drop you off in Dolores, Magalang. From there, take a tricycle to Woodland. You may also arrange for ACFC to pick you up in the Magalang bus stop. ACFC website: angelesflying.com. Landline: +45.802.2101. Rates: 10 mins - PhP1650; 20 mins - PhP 2900; and so on. They also offer lessons leading to a sports pilot license. Well, that's cheap na, although the one I flew with was not an ultralight, just a light aircraft called Piper Warrior. I agree; the feeling is amazing when you're up there and controlling the plane! So between parasailing and an ultralight flight, which do you prefer? I feel exhilarated just by watching the video. 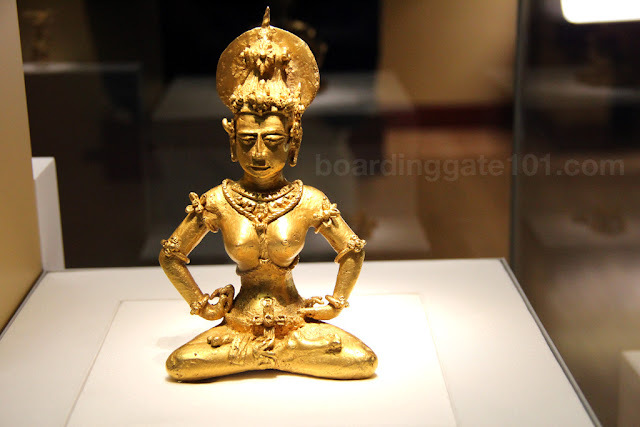 This gave us another idea for recreation. WOW!!! GREAT EXPERIENCE FOR YOU.... but I wouldn't dare do this myself!!! There is a new aircraft at the club called an AutGyro, it is a fantastic experience to feel. Sports license?? Add that to my bucket list!! Would possessing an FAA PPL(Single Engine Land) license with High Performance and Complex endorsements allow me to takeoff and land with an instructor pilot aboard? 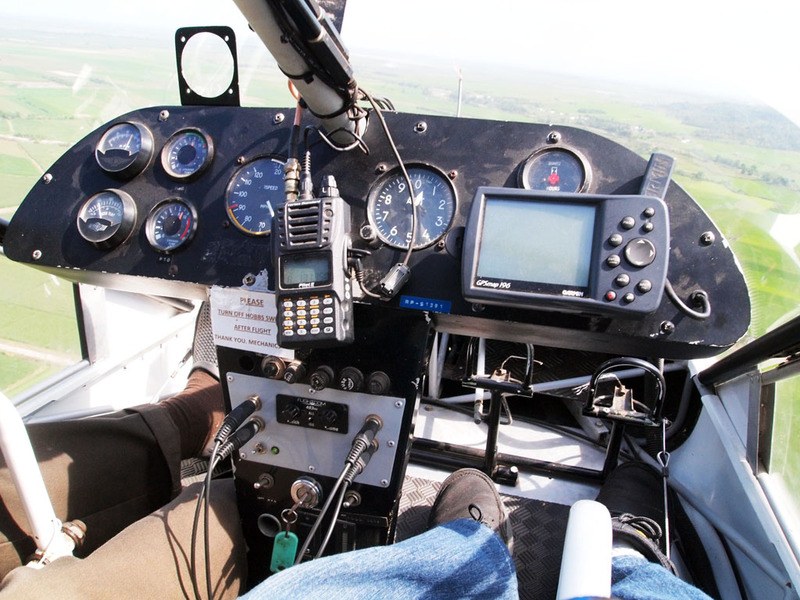 I know they allow novices to take the controls for a few moments while airborne; but I want to actually fly the thing! I think with the proper license you can rent an ultralight there and fly it yourself. I've talked to some pilots who go there just to fly ultralights. cool! I want to try this!